With numerous web searches for the keyword, "Natural Cures Rheumatoid Arthritis," we decided to focus a page on this topic. However, we face a couple of challenges. "Since this works so well, how come my doctor doesn't tell me about it?" Doctors, perhaps even well meaning, will say things like 'too much salt is dangerous' even though we advocate less salt than you would get in a hospital IV, let alone their processed food in a hospital diet. There is also research showing that not enough salt and too little potassium and magnesium can increase your risk of heart related death and disease. Spoiler Alert: unprocessed sea salt has both of these, which while in trace amounts,may account for its blood pressure lowering ability. Note: this doctor was probably unaware of the science we have on this site or the studies that show low salt diets are harmful and even deadly. "As a medical doctor, I find your website absolutely untrustworthy - many of your far fetched claims about the magical effect of water and salt are not true." Please note: None of us believe in magic nor do we believe in flaming. You Decide: Consider the peer reviewed scientific articles below and some basic common sense about human physiology. If you believe in the Water Cures as a simple, natural, free solution to improve health, please share, LIKE, give us a G+ (top left) and comment on social media about this. NOTE: We do not claim that there is anything magical about the Water Cures. We are not sure where that statement came from unless it was intended to flame us because of a lack of actual proof that what we promote is real. Perhaps this doctor, being closed minded, has not looked at any of the research. Perhaps his logic is blinded by prejudice against anything outside of the way he was taught, anything new, he is simply resistant to change. To be sure, below is some of the science. A Special Request: Do you want to change health care, make it more affordable and eliminate bias against alternatives? Then help us get the word out. Share on social media, any of the articles here you like. Give comments to the Face Book Page. Help us spread the word. It is free, it is simple and it helps others without ills, bills or pills. Dead Sea Bath Salts Treatment of Rheumatoid Arthritis was published in Clinical and Experimental Rheumatology in 1990. Of the 30 patients, those who got the salt baths using Dead Sea bath salts, there was..."A statistically significant improvement ...observed in Group I only, in most of the clinical parameters assessed. Maximal therapeutic effect was obtained at the end of the treatment and lasted up to one month." 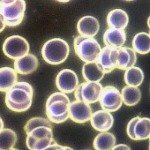 Is the use of salt to improve health a far fetched claim or is this legit science? "Taken together, a critical appraisal of the data suggests that balanced salt solutions deserve consideration as infusates of first choice." At Water Cures, we have found that unprocessed sea salt with up to 80 minerals provides this balance and this is just one of many reasons the Water Cures protocol works better than using table salt. A study on an injection treatment vs Saline Solution for Ankle Osteoarthritis had a different finding than an original study. This study found the saline worked better. It is no secret in health care or the medical and nursing books that our skin, the largest organ on our body, absorbs things. Of all things, it has the ability to absorb salt and other minerals that it soaks in as mentioned above. 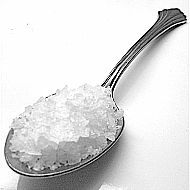 A faster way to get the salt into our body is through the mucous membrane in our mouth. Our tongue even as a salt receptor on the end, part of the way we were designed. In our mouth is a natural pathway to the blood and circulation to our body. There is also no debate that we need salt, only how much. 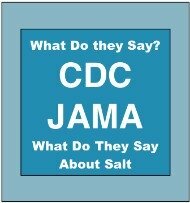 What most doctors do not realize, we promote far less salt than they prescribe in a saline IV. 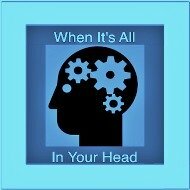 Actually WaterCures.org promotes taking in far less salt than you would get in a hospital stay. This raises a question, "If this is so good, why would doctors not want us to know about it?" I thank God for you every day. I used the treatment you taught me and now I have no more arthritis pain. 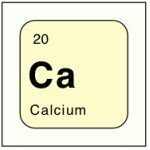 After 10 years, I am arthritis pain free! How come doctors are not telling everyone about this? "I have not had to go back to the doctor since I started the treatment and my pain went away." An unfortunate consequence of eliminating arthritis pain with natural treatments is that there is no profit. Some doctors will lose money if their patients no longer need them. This means they could eventually not be able to afford that second home that they use to get away from the stresses of the job. We cannot ignore what others are saying too. 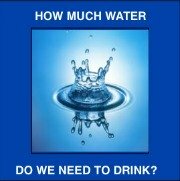 Christie discovered how Water Cures is one of the best natural remedies for rheumatoid arthritis. She wrote, "For the first time in 2 years, I am once again able to walk over a mile at a time. I am experiencing less and less pain and swelling in my ankles, knees, wrists, and other joints. Rebecca Clemons said, "I thought I was 'destined' to be afflicted with this 'dis-ease' for life !" Then for the past few months, her pain increased dramatically. She lived with chronic severe pain daily, "...pick a joint, any joint. I was days from seeking a doctor to give me those life altering drugs." 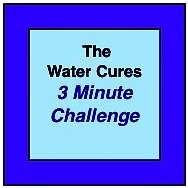 Within four days of starting the Water Curses protocol, her pain subsided to the point where she "....cried from relief, instead of crying from the pain!" 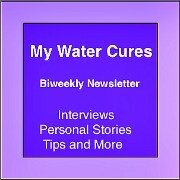 You can read more on the Water Cures Testimonials page.